I am the cosmic siren, the wake up call. The sound that will screech through your world, and wake you from your slumber. I am the cosmic rebel who is strong enough to say what needs to be said. I am the misfit, for I fit no world, I fit with no one. I am the enigma, the one of a kind, the ‘out of the box’, the unique one who is not afraid to be different, who no longer tries to find her place and her fit. I am not of a world, I am of the Eternal. I want to rattle you into waking up, into opening eyes that you tell me are already open, into listening with deaf ears that you tell me can already here, into feeling with dead senses that you tell me are sharpened and tuned. For you do not know you are blind, and deaf, and unfeeling, because you do not know what it is to truly see, to truly hear, to truly feel. You are dulled, limited, confined, bound by your own sense of limitations, and by that falsity that has been presented as truths. I stand … my palms feeling the touch of time and space. I sense and feel that which is barely perceptible. I stand alone, silent, still, feeling, listening. I am the breath of wind that whispers love past your ear. I am the lips that touch your cheek in the midst of the night. I am the fingertip touch upon your shoulder while you sleep. I will die protecting you if need be. And you will never know that I never left your side. My palms in the currents of time, I am the beginning and the end, the totality of I. Nothing is hidden. All is seen. Lies are felt. Falsity is seen. Deceit and delusion are sensed. 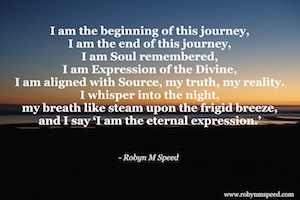 Words are spoken into my mind from the alignment, I speak to myself, the Divine awakened. I will rattle you, and you may not like it, but you will be changed. I am a voice that will not go away. I am a touch that cannot be forgotten. I am the lover that shone a light into your heart. I am the voice that whispered, ‘I love you’ and meant it. I am the current that carries the breath of life. I am the wind that caresses, and carries your song. I am the sun that pours her light across the world. This entry was posted in Blog, Life Guidance. Bookmark the permalink.